1 large carrot, 100 g bacon bits, 2 eggs, 60 g grated Parmesan, 100 g flour, ½ sachet baking powder, 10 cl milk, 5 cl sunflower oil, 3 sprigs of chopped cilantro. Beat the eggs to an omelet in a large bowl. Sieve in the flour and baking powder. Mix together with a fork. Gradually add the oil and milk and mix again. Finally, add the bacon bits, carrot, grated Parmesan and cilantro. Pour the mixture into the mold. Bake in the oven for 20 to 25 minutes. 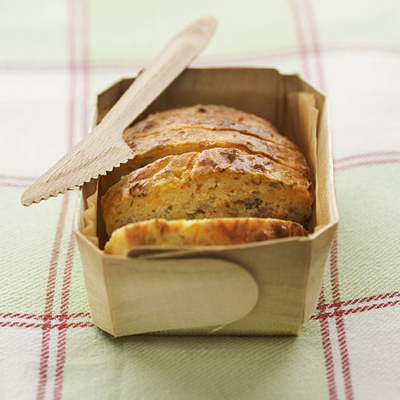 Recipe from the book "Lunch Box" by Isabel BRANCQ-LEPAGE.